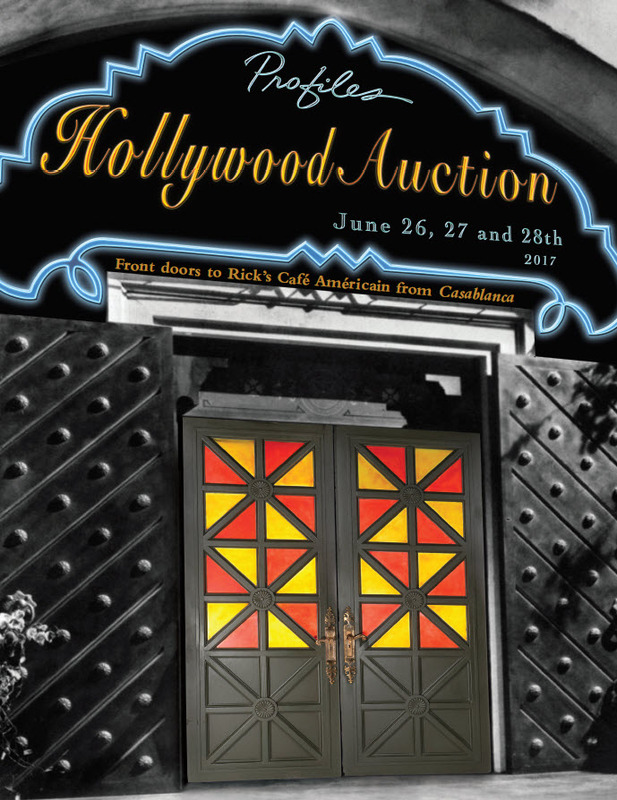 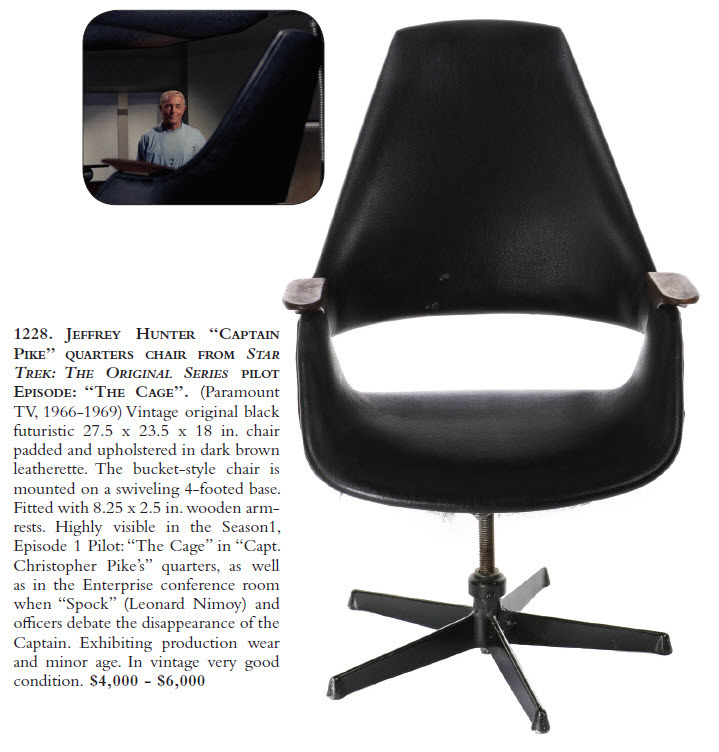 On Wednesday, June 28th at 11:00 am PST, Day 3 of Profiles in History's "Hollywood Auction 89" will commence at Profiles headquarters in Calabasas, CA. 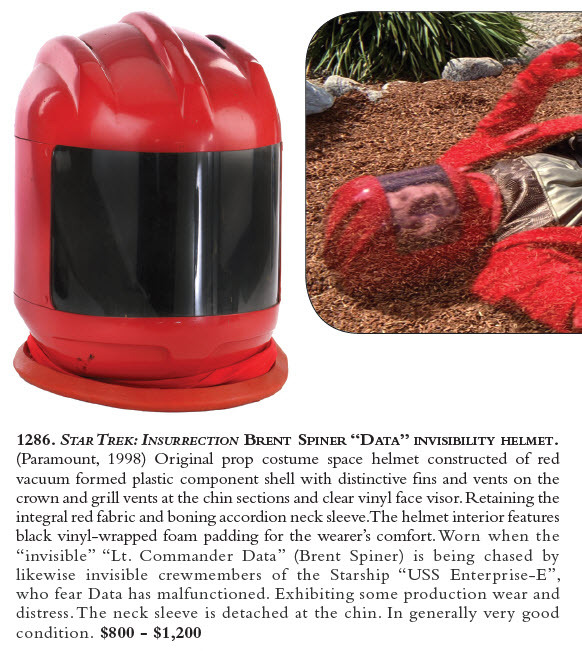 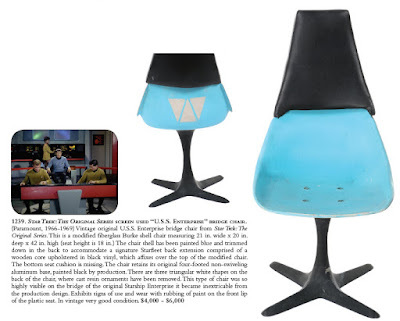 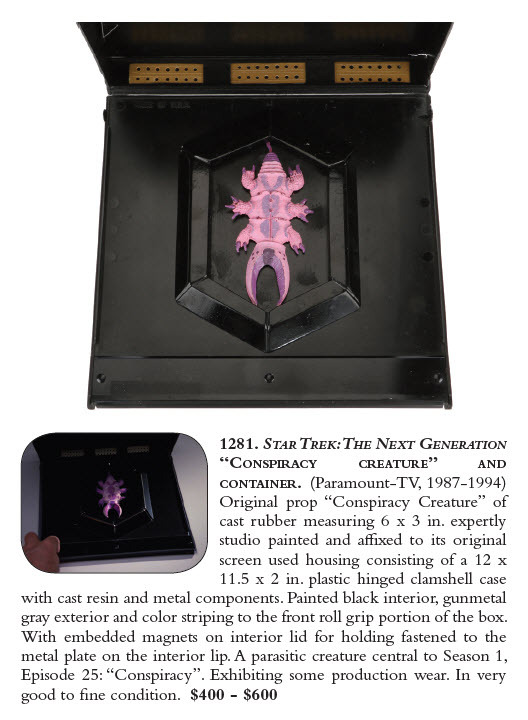 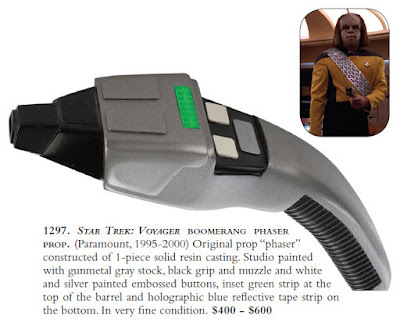 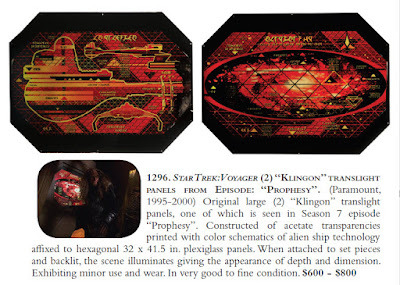 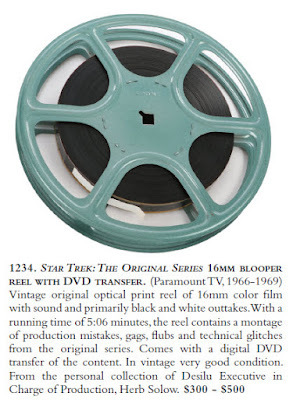 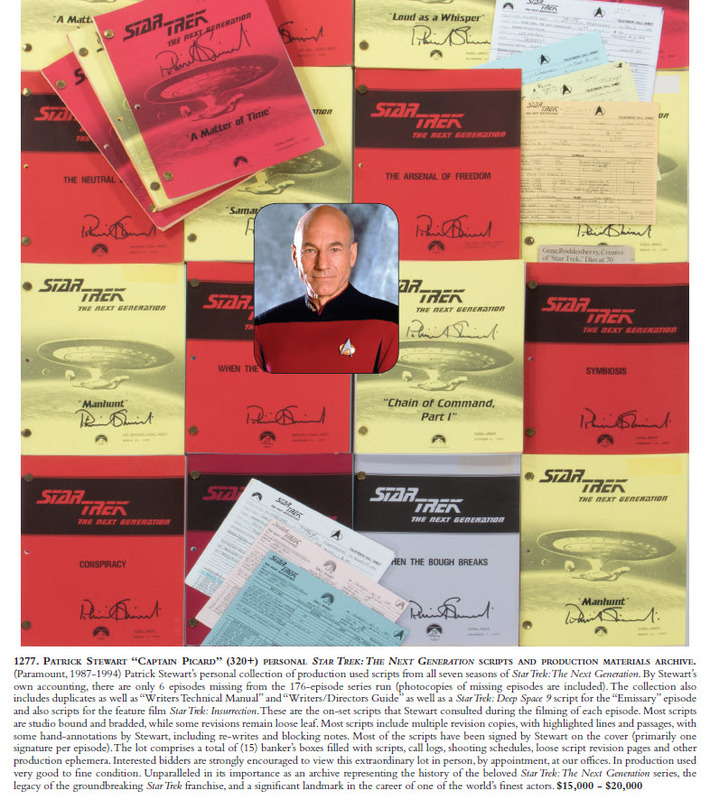 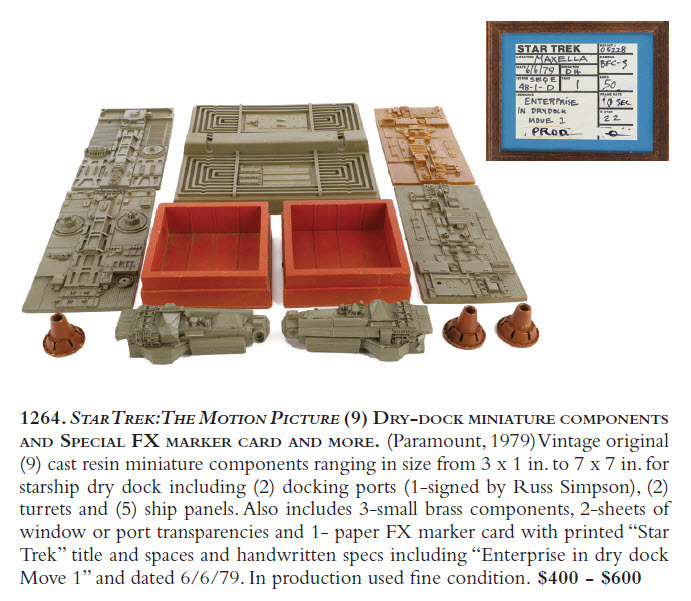 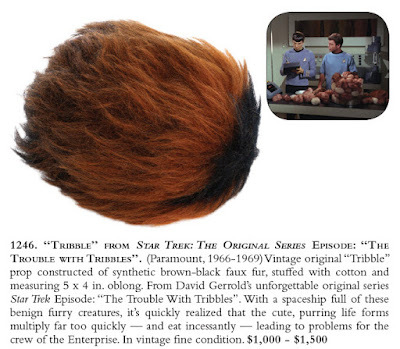 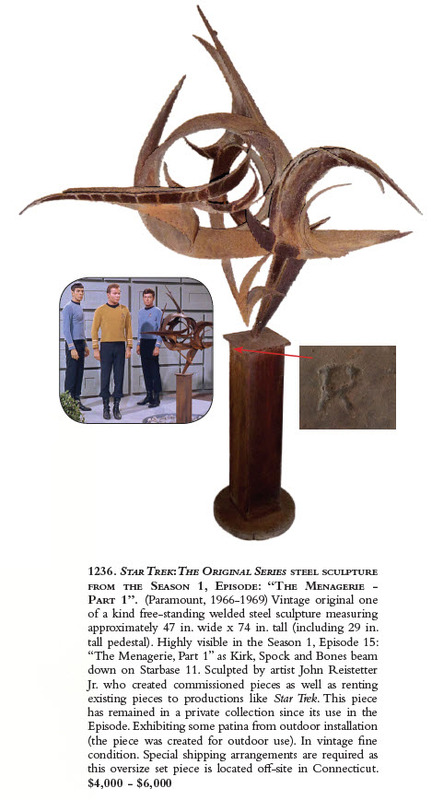 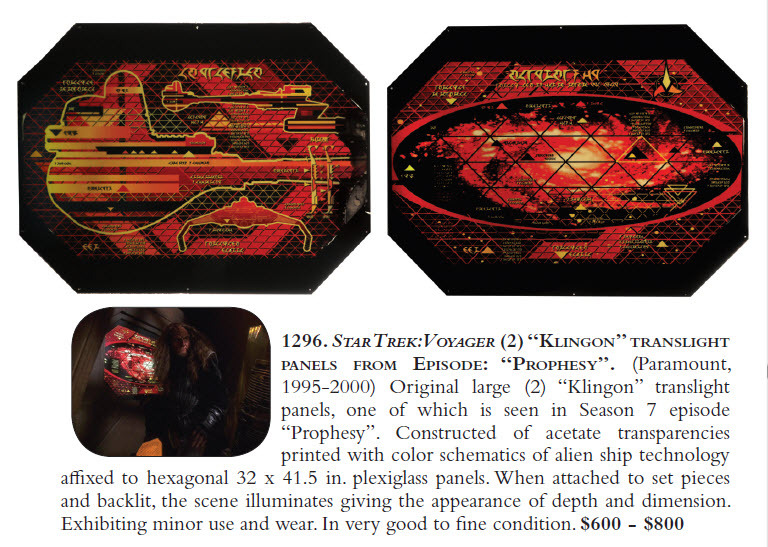 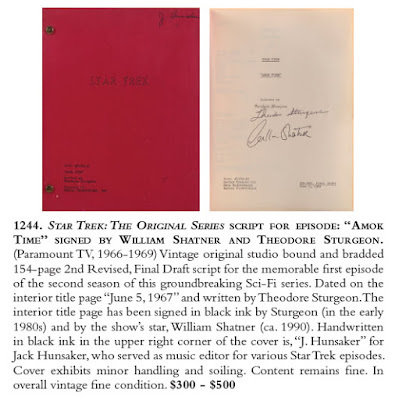 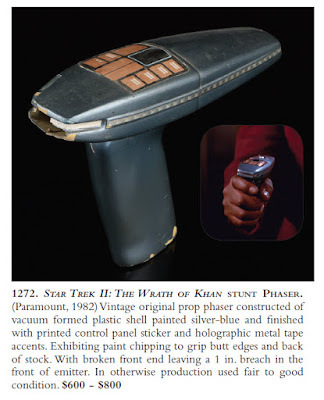 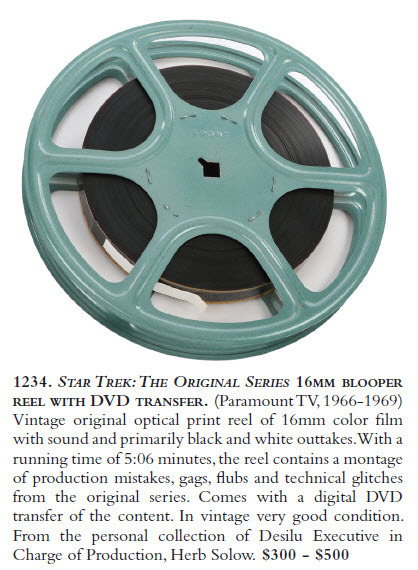 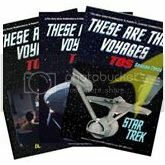 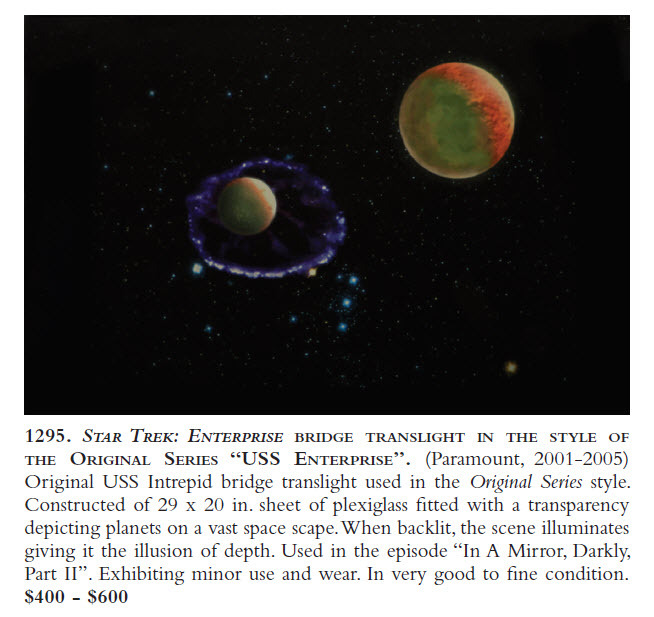 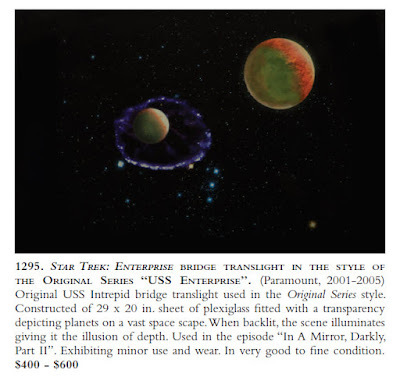 A total of 73 lots of Star Trek memorabilia will be featured in the sale; forming a very impressive offering of screen used and production related artifacts from across the franchise - that is highlighted by 28 exciting lots of Original Series related items. 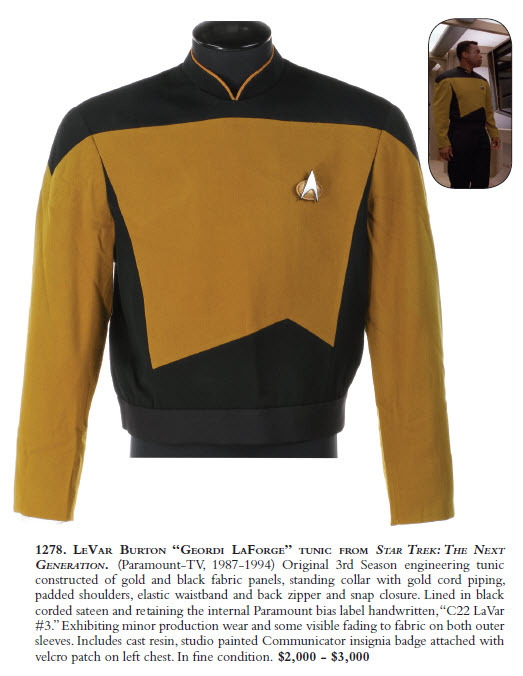 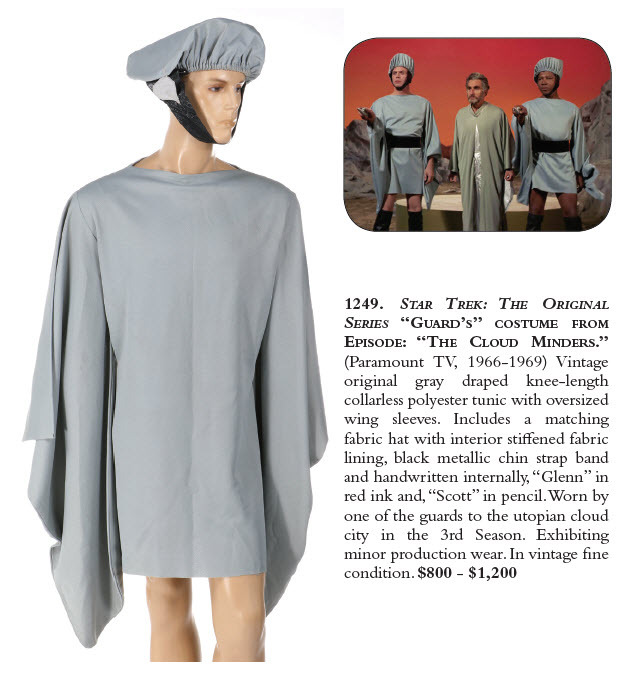 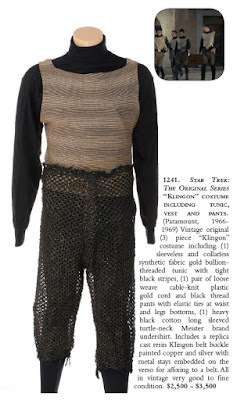 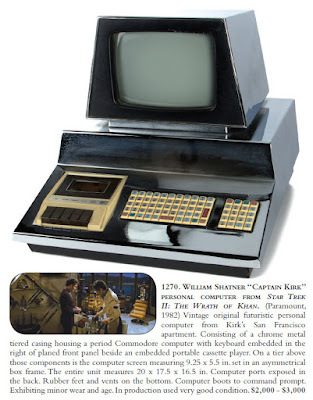 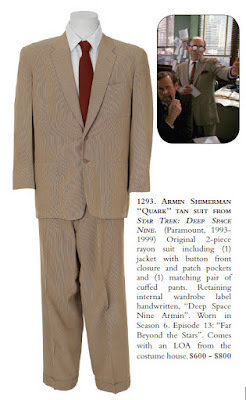 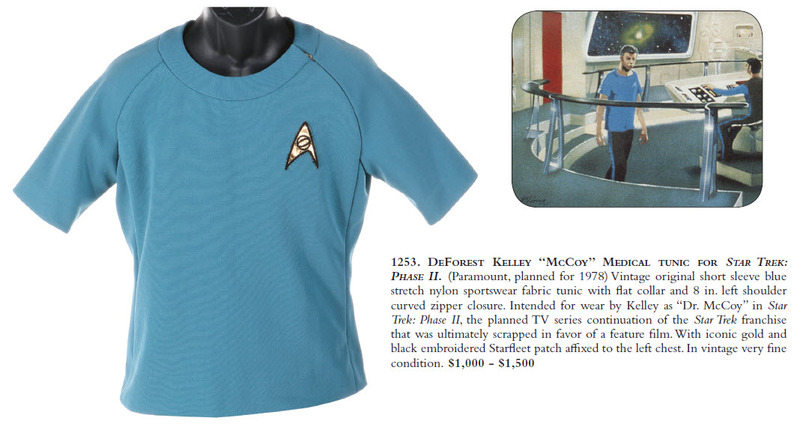 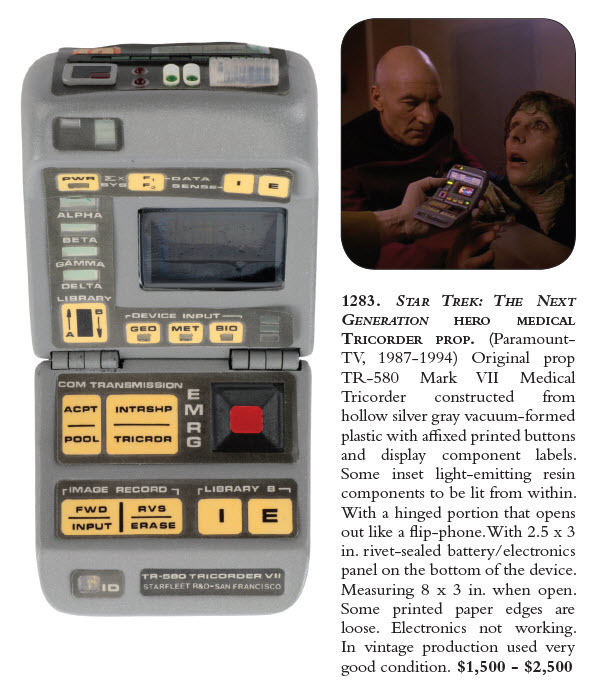 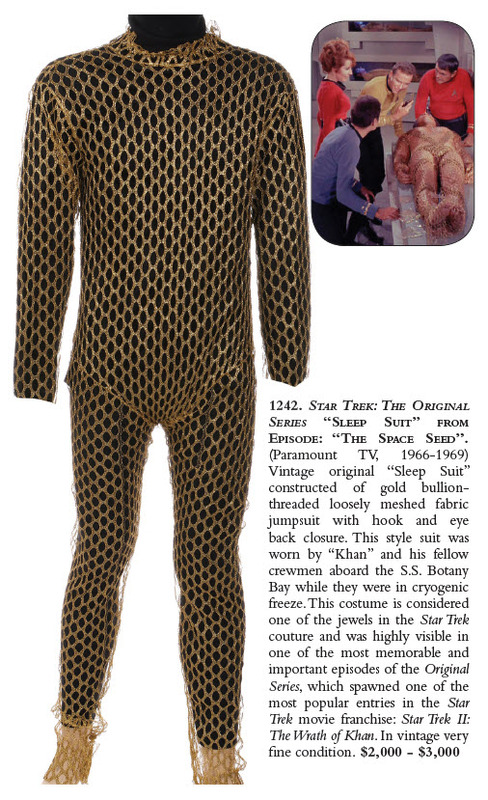 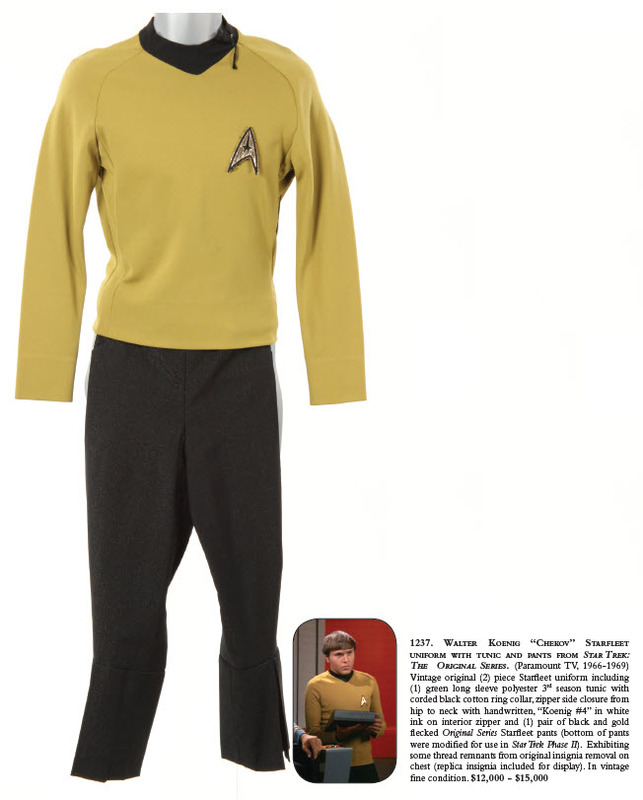 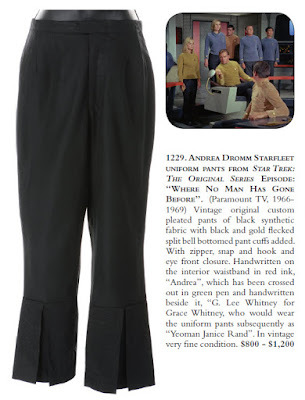 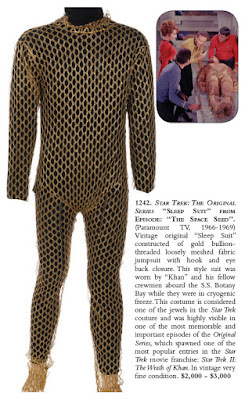 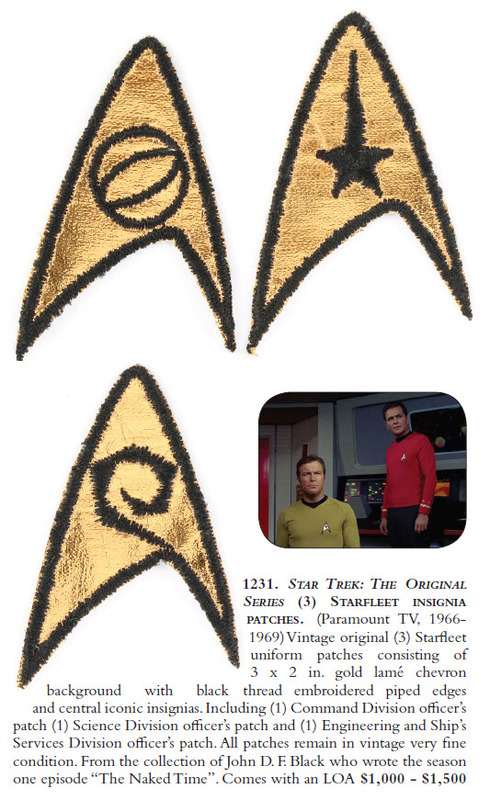 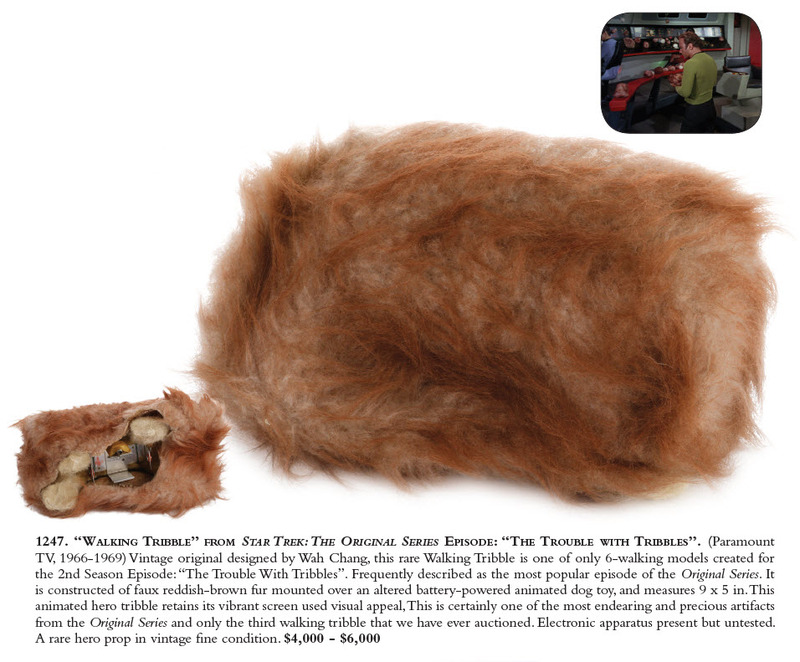 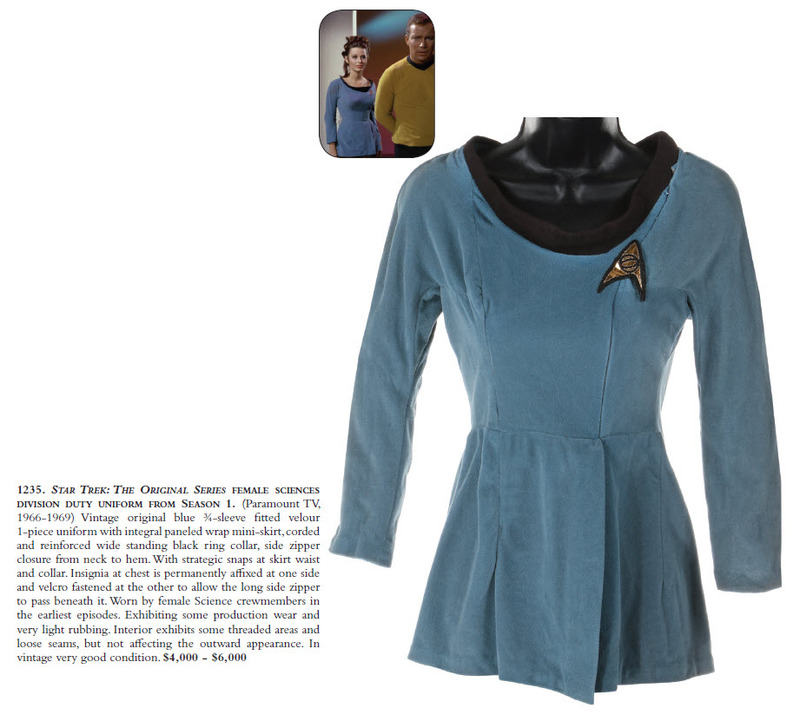 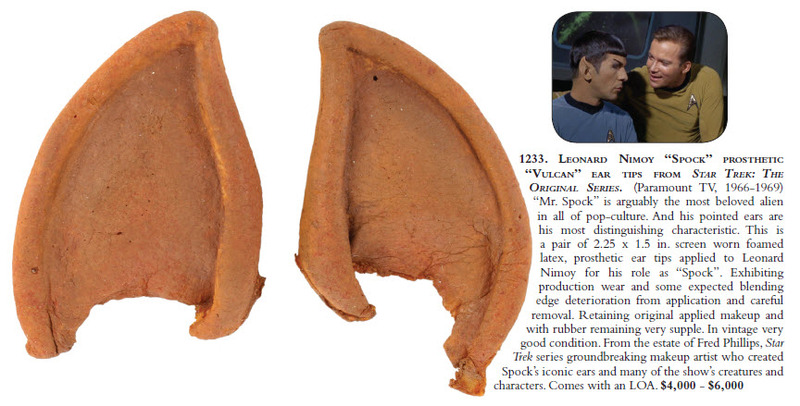 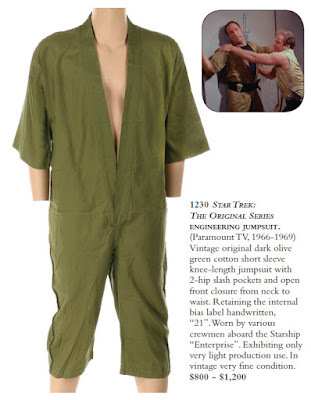 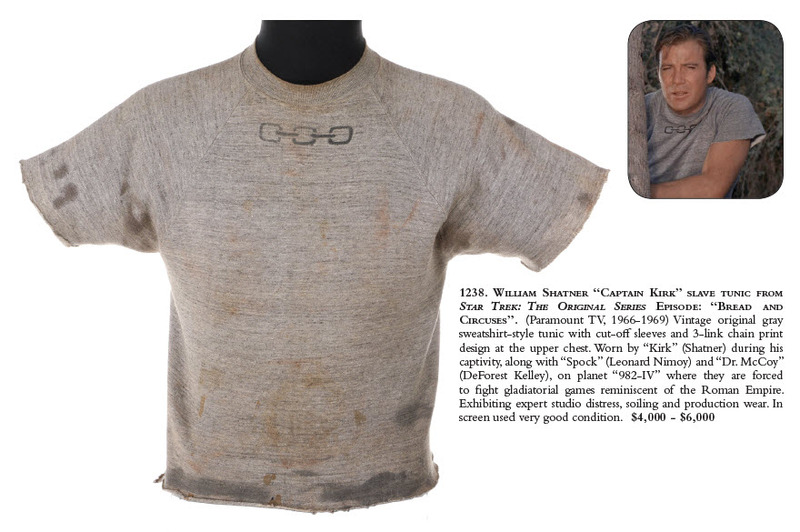 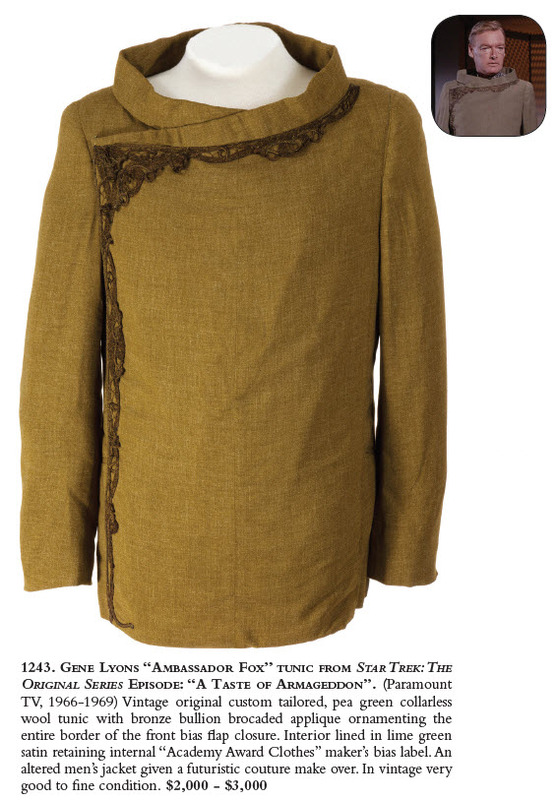 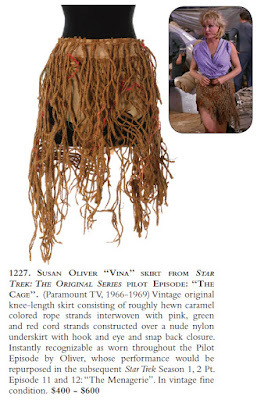 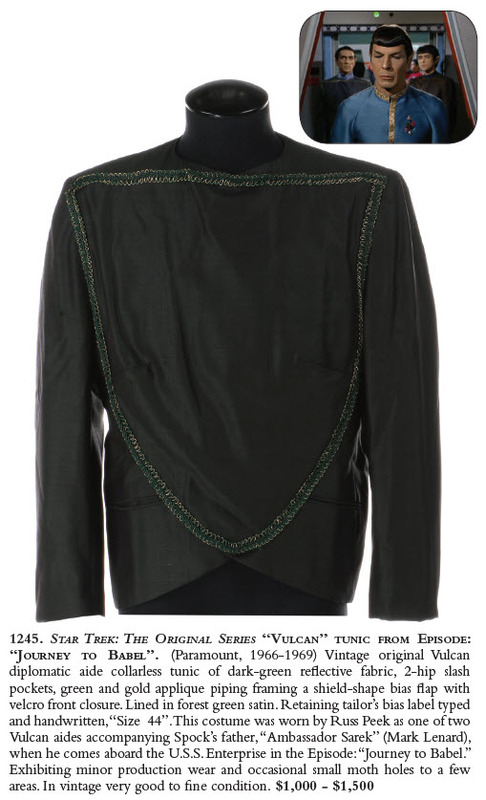 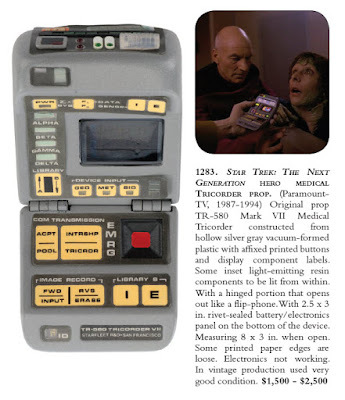 Some highlights of the TOS material include a Walter Koenig "Chekov" Starfleet uniform with tunic and pants, William Shatner's "Captain Kirk" slave tunic from the 2nd season episode "Bread and Circuses", a Jeffrey Hunter "Captain Pike" Quarters chair from the 1st pilot episode "The Cage", a set of Leonard Nimoy worn Spock Vulcan Ear tip prosthetic appliances, a rare Thrall weapon prop from the season two "The Gamesters of Triskelion" episode, and a unique 74 in. tall steel sculpture / statuary piece seen at the landing party beam down site on Starbase 11 in the 1st season episode "The Menagerie". 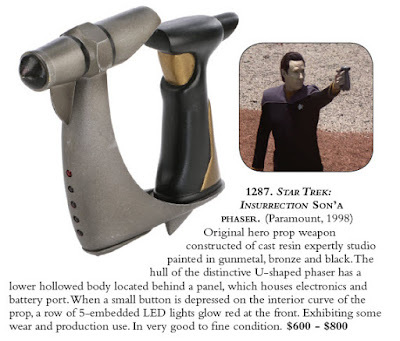 Additionally, Original Series collectors will be impressed to see the Kirk and Trelane antique dueling pistol set from the 1st season episode "The Squire of Gothos" offered, along with many other notable TOS costume pieces and even a rare walking tribble prop. 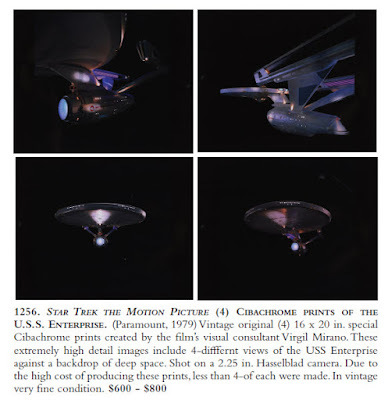 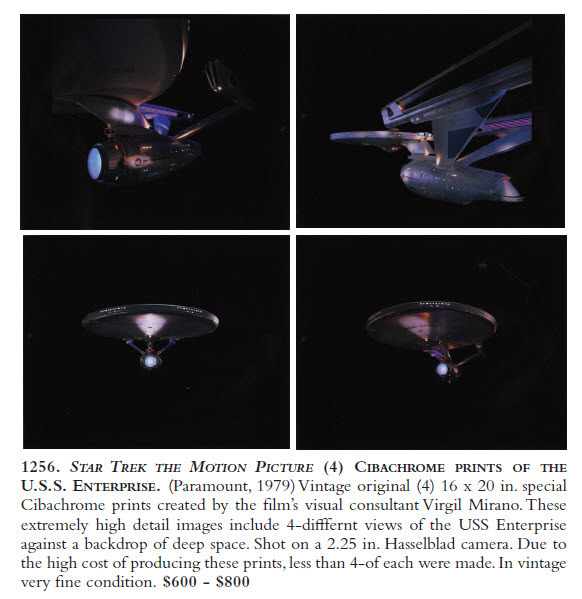 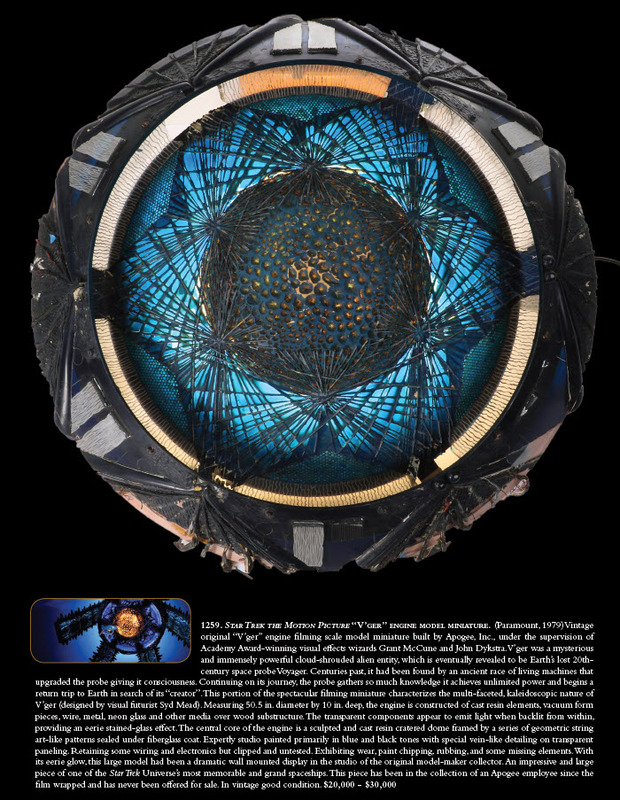 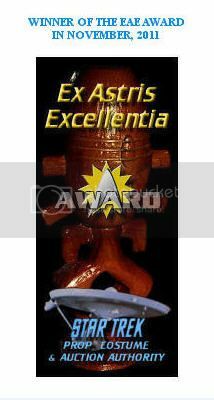 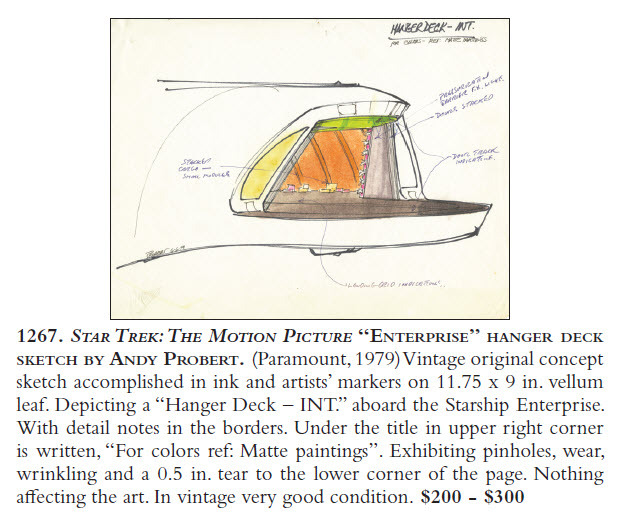 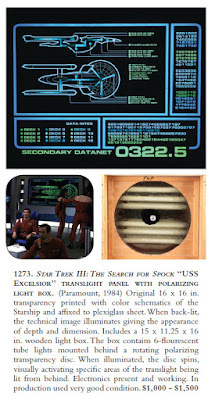 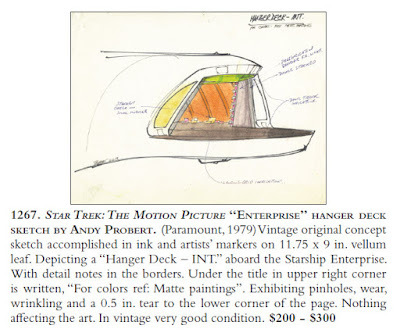 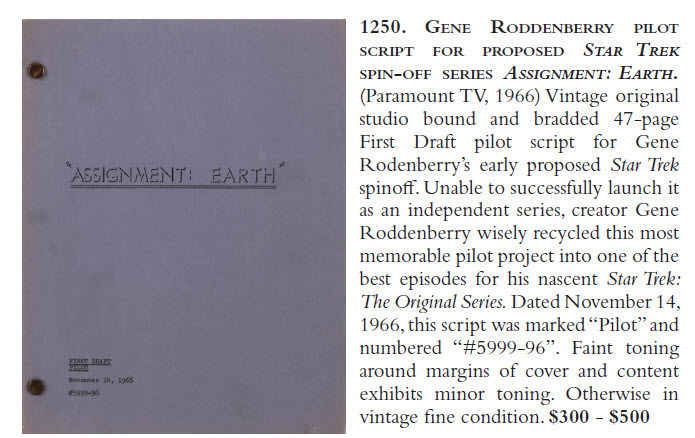 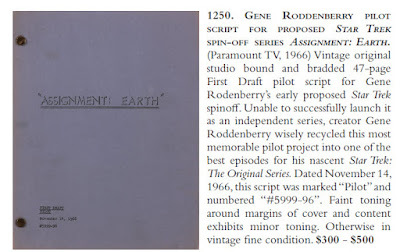 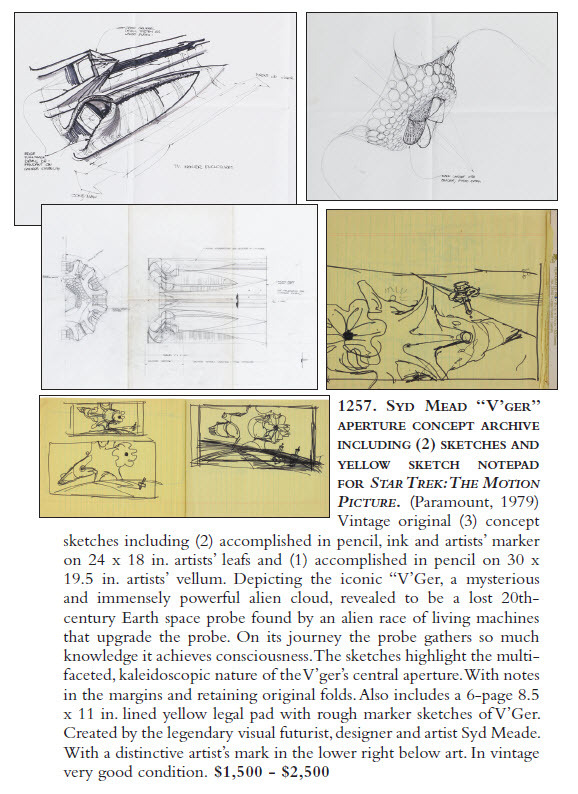 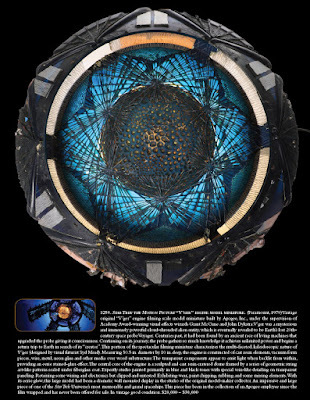 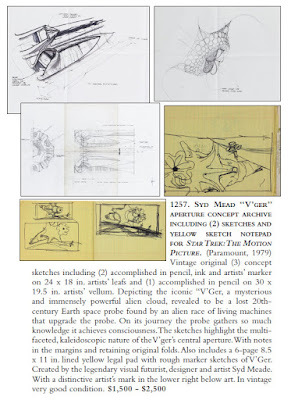 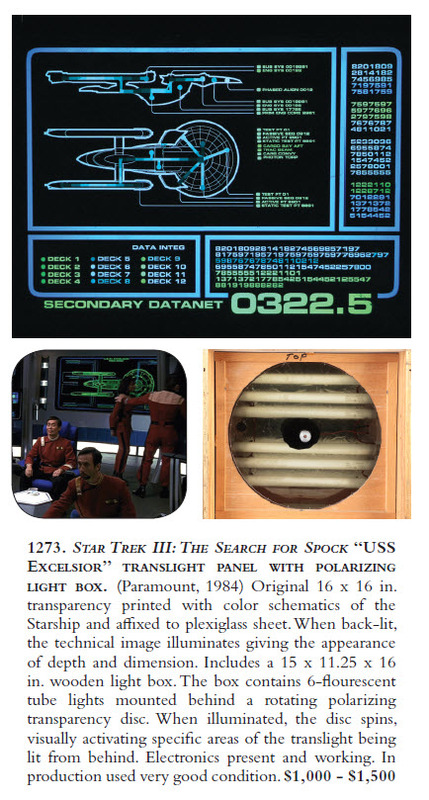 Noteworthy items from the subsequent Star Trek feature films and television series include an impressive 50.5 in diameter "V'Ger" Engine model filming miniature from Star Trek: The Motion Picture which is estimated at $20,000 - $30,000; Patrick Stewart's personal TNG production script and materials archive featuring 170 of his on-set scripts and over 320 documents in total; a LeVar Burton TNG Starfleet tunic and a Brent Spiner TNG Starfleet uniform; the 66 in. 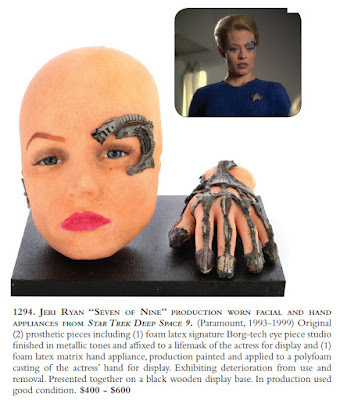 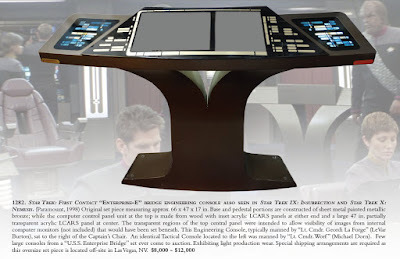 long Enterprise-E Bridge Engineering Console from Star Trek: First Contact, which was also screen used in ST: Insurrection and ST: Nemesis; and a set of Jeri Ryan "Seven of Nine" production worn facial and hand appliances from Star Trek: Voyager.